India finally has an official drone policy in place, and has set up a suitably high-tech website to register the country’s many drones. The government yesterday launched the Digital Sky website, which will allow India’s drone-owners to register their flying contraptions. 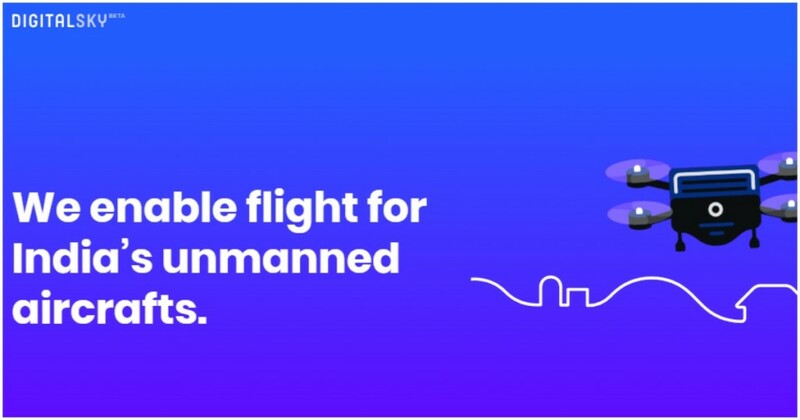 “We enable flight for India’s unmanned aircraft,” says the website, as an animated drone flies next to it. The site The Digital Sky website looks something that a funded startup would create with its slick UI and UX, and lets users navigate through picking out the relevant drone licenses. As per the new policy, all drone weighing more than 250 grams would need to be registered with the government. This includes micro drones, which weigh more than 250 grams up to 2 kg, small drones, that weigh between 2 and 25 kg, and the medium drones, which can weigh up to 150 kg, and the large drones, that are over 150 kg heavy. Citizens owning these drones will have to register on www.dgca.nic.in, and get themselves a unique identification number or UIN. For getting a UIN, they will need to have an address proof, a permit from the police and the department of telecom. Once they’ve submitted the relevant documents, they will get a UIN, which will need to be marked on a fire-proof plate. The plate has to be installed on the device, much like the license plate for a car, before the drone can set flight. Getting a UIN will cost a fee of Rs. 1000. India’s drone policy was long-awaited. Drones have become easily available over the last few years, yet unregulated use poses several dangers — drones can come in the way of low-flying aircraft, and can also be used for spying by enemy nations over sensitive areas. Drones also carry privacy risks — they can record previously-inaccessible areas and zones. As such, it’s not surprising that the government has decided to allot each drone a number and tie it to an owner, like a driving license. This regulation should spur drone usage — drones aren’t only useful for wedding videography, where they’ve become ubiquitous, but also in several interesting fields. In Rajasthan, drones have been used to keep an eye on national parks, and drones are also being used for collecting farming data. Drones are also being considered for uses in urban areas, such as delivering food and supplies. Drones are almost certainly the future, and an official policy and registration process sounds not only timely, but something that can spark off a whole generation of drone-related solutions in India.